Debutant Anish improved by 2.9s between practice lap 1 and 2, but couldn’t maintain his momentum in the third session, finishing 25th. 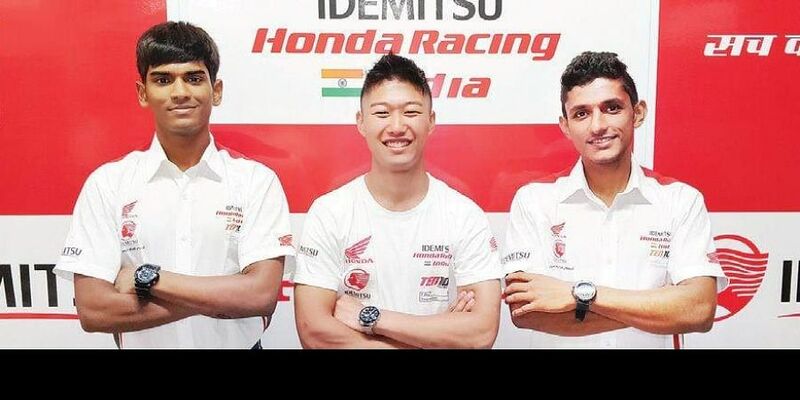 Drivers of the Honda Racing India team all set for ARRC Round 5 in Indonesia. SENTUL (INDONESIA): Honda Racing’s Indian duo of Rajiv Sethu and Anish Shetty made the best improvement in timing in Asia Production 250CC category in the penultimate round of FIM Asia Road Racing Championship (ARRC) at Sentul International Circuit on Friday. Rajiv, who recently won Round 4 of Indian National Championship, got a 1.6s boost from his first practice lap to climb to 21st among 30. However, the Chennai lad had a nasty fall and could not participate in the third practice lap, as his bike was damaged. Meanwhile, debutant Anish improved by 2.9s between practice lap 1 and 2, but couldn’t maintain his momentum in the third session, finishing 25th. But the team’s best display came in SuperSports 600CC class, as 20-year-old Japanese Taiga Hada jumped from 10th in the first practice lap to 5th by the third.